Hezbollah initiates Operation True Promise with a cross-border attack committed by Lebanon-based Hezbollah special forces on an Israeli military patrol on 12 July 2006 on Israeli territory. The operation was originally named “Freedom for Samir Al-Quntar and his brothers” by Hezbollah, but it was shortened to “Operation Truthful Promise”. Using rockets fired on several Israeli towns as a diversion, Hezbollah militants crossed from Lebanon into Israel and ambushed two Israeli Army vehicles, killing three Israeli soldiers and capturing two. Hezbollah demanded the release of Lebanese prisoners held by Israel in exchange for the release of the abducted soldiers. Israel refused and launched a large-scale military campaign across Lebanon in response to the Hezbollah incursion. This marked the start of the 2006 Lebanon War. Two years later, on July 16, 2008, the bodies of the two abducted soldiers were returned to Israel by Hezbollah in exchange for Samir Kuntar and four Hezbollah prisoners. 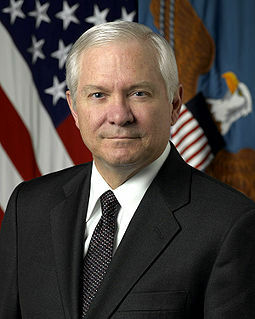 US Defense Secretary Robert Gates, along with Israeli defense minister Ehud Barak, warned yesterday that that the guerrilla group Hezbollah was in possession of more weapons than some governments. Barak said that missiles owned by Hezbollah had the potential to “disrupt the very delicate balance in Lebanon,” although he stated that a military conflict as a result of the transfer of weapons to Hezbollah was unlikely. Egypt, Iraq, Lebanon, Saudi Arabia, Syria, Transjordan, and Yemen founded the Arab League, a regional organization that facilitates political, economic, cultural, scientific and social programs designed to promote the interests of the Arab world. The Arab League currently has 22 members, Egypt’s membership was suspended in 1979 after it signed the Egyptian–Israeli Peace Treaty, and the League’s headquarters were moved from Cairo to Tunis. A Lebanese militia under the direct command of Elie Hobeika carried out a massacre in the Palestinian refugee camp of Sabra and Shatila, killing thousand civilians. The massacre was carried out by the Lebanese Forces Christian militia group in connection with the Israeli Defense Force (IDF), in control of Beirut. The IDF allowed militiamen to enter two refugee camps, Sabra and Shatila. The exact number killed by the Phalangists is disputed, with estimates ranging from 328 to 3,500. The Phalangists stood under the direct command of Elie Hobeika, who later became a long-serving Lebanese Member of Parliament and, in the 1990s, a Lebanese cabinet minister. Members of the Popular Front for the Liberation of Palestine hijacked four jet aircraft en route from Europe to New York City, landing two of them at Dawson’s Field in Zerqa, Jordan, and one plane in Beirut, Lebanon. The fourth hijacking was successfully foiled. In the hijackings four jet aircraft bound for New York City were hijacked by members of the Popular Front for the Liberation of Palestine. Israeli prime minister Ehud Olmert has announced during a press conference, that Israel will “unilaterally” ceasefire in their offensive in the Gaza Strip at 2:00 a.m. local time in Gaza. At least four Katyusha rockets were fired into northern Israel from Lebanon, injuring at least five people. The rockets landed just six miles from the Israel-Lebanon border in the Israeli city of Nahariya.